There’s a verse from the book of 2 Timothy that I’ve been mulling over all day. It’s a familiar verse, but one I’ve never thought through in regards to my role as preacher. In Paul’s second letter to his protégé, Timothy, he tells him to, “Preach the word; be prepared in season and out of season.” Usually this verse is interpreted through the lens of evangelism—that when we are out in the world, going about our lives and interacting with our community, we should be ready and willing to share the gospel if the opportunity arises. And there is certainly significance in that interpretation, especially for those who are not paid, vocational preachers, with a pulpit to fill and a sermon to deliver each Sunday. But I am a vocational preacher—and have a 25-minute sermon to deliver each week—so I’ve been wondering how this popular verse carries different importance for professional preachers than it does for the average layperson. And when I read this verse in the New Living Translation—“Preach the word of God. Be prepared, whether the time is favorable or not”—it took on even more significance. You see…I didn’t preach very well yesterday. My sermon was too long, it wasn’t researched enough, the transitions from point to point were sloppy, and I was too dependent on my notes. And I even broke my one cardinal rule of preaching: be ruthlessly singular in purpose. In short, it wasn’t my best work. And at this point in my preaching career, I’ve written and delivered enough sermons to be comfortable with the idea that I won’t knock every sermon out of the park. And I’m generally okay with this idea of occasional mediocrity. But, of course, yesterday happened to be a Sunday where we had about six first-time visitors. I didn’t make the greatest first impression. Which brings me back to the words of wisdom from Paul to Timothy. I certainly could have chalked yesterday up to being an ‘out-of-season’ Sunday—an ‘unfavorable’ day to have to preach. We had just moved to a new house, were getting ready to host all sorts of events, and my week was filled with a plethora of extra meetings. It wasn’t that I was unprepared to preach—in fact, I had cut over a page out of my sermon notes on Saturday night. I had enough quantity to my sermon, but hadn’t done enough to enhance the quality. Paul reminds me, however, that the Good News of Jesus is too important—and the art of preaching too significant—to ever give less than my best. 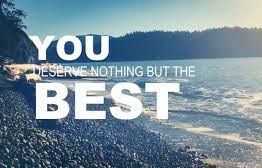 God deserves my best, the members of our church deserve my best, and our visitors most-certainly deserve my best. And the same is true for all of us, regardless of our profession: God and the world deserve our best. We never know when people are watching or when we might have the opportunity to speak goodness, beauty, or truth into someone’s life. We never know when the quality of our life and our work might make a significant difference in the life of another. So, let’s be prepared, in favorable or unfavorable times, to do our jobs well, steward our words well, and live our lives well—as a testimony to the good work God is doing within us.